They may look exotic, but if you pick the right sort they're not hard to grow, and for many you don't even need a greenhouse. They are now readily available from garden centres as well as from specialist orchid nurseries. So how do you start and how do you know the best orchids for your growing conditions? Books are O.K. But nothing can beat joining a specialist society where there are always experienced growers around to help and advise. At the Central Orchid Society we welcome new members at any time. 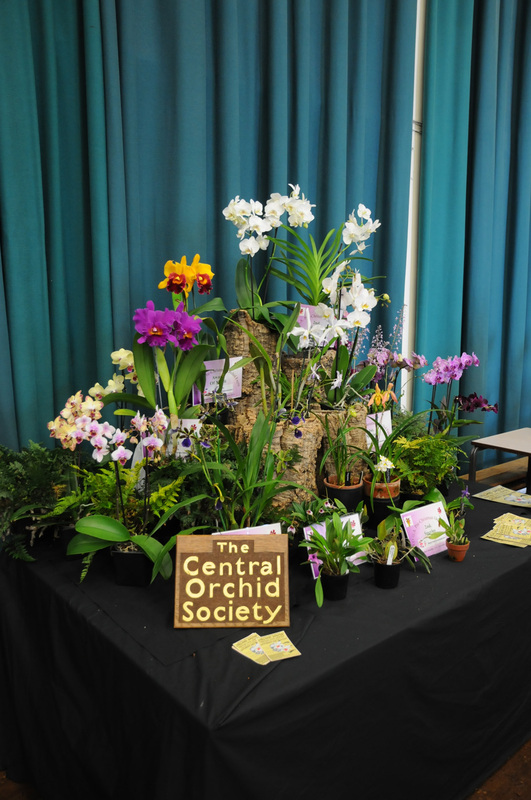 In addition to our monthly meetings we also hold two shows a year, one in November, the other in April, with displays from other Midlands orchid societies and with plants and sundries on sale from various orchid nurseries. At meetings we normally have a speaker. Talks cover all aspects of orchid growing, from specialist lectures on specific kinds of orchid to talks on orchids growing in the wild by speakers who have visited their natural habitat. Talks are illustrated with slides or plants. There will be at least one meeting a year dedicated to beginners. There will always be plants for you to see when you join us, as we have a competitive display table at every meeting. There are also often plants to buy, and each March, when we hold our AGM, we usually have an auction of members' surplus plants. That’s the time to pick up a bargain! We always welcome new members and anyone interested in joining or simply in coming along to a meeting to see what we're like should contact Martin Holland on 07740 508522 or by e-mail to martin.holland52@gmail.com. A membership card is provided on joining the Society together with the programme for the year. Current membership is £10 per year single, £12 joint. We also have our own society badge at a cost of £2 to members.